User Experience Design: Could the iPad make reading easier? Could the iPad make reading easier? Apple is reportedly purchasing eye-tracking technology that could be used in a future e-reader or iPad that watches where a user's eyes are, allowing the projected text and interface to be modified as the user reads the page. This could not only have ramifications for assisted technologies, but could also be used to augment text as we read it. Imagine if you were doing a bit of speed reading – skimming first and last sentences, paying attention to key words – and the text helped actually highlight the most important text as you scanned it. What if supporting resources or rich media could be presented, based on what parts of the text you pay most attention? 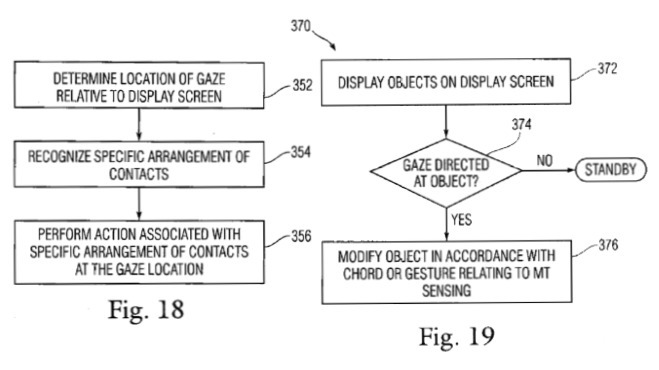 For us interaction designers, imagine if it were much easier to obtain eye-tracking data for pages and sites as we designed them! This kind of technology could add an additional layer of interaction context, significantly enriching the overall reading experience. The potential is pretty exciting; only time will tell where the technology could take us.